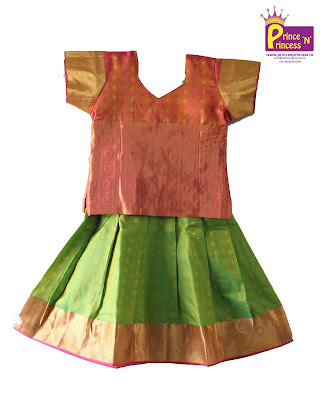 Prince N Princess , is the leading online store for kids traditional wear. We are one of the online store where we have huge collections of Pure Silk , Silk cotton and Art silk pattu pavadai. 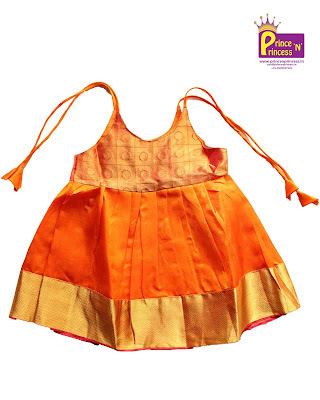 Prince N Princess , introduced Lakshana Frock , simple and comfortable frock for new born. 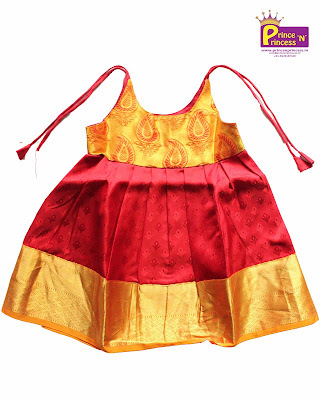 These frocks are specially made for new born or just born naming and cradle ceremony. Lakshana Frocks are made of Pure silk and Raw silk. Price varies based on the fabric used. Knot type frocks are very simple and easy to use. 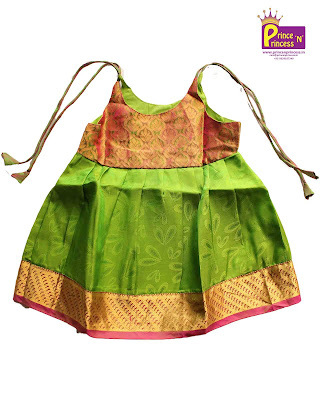 We have wide range of colours and made in different fabrics for new borns. Pattu pavadai Langa . We have beautiful pattu pavadai made of silk and silk cotton . 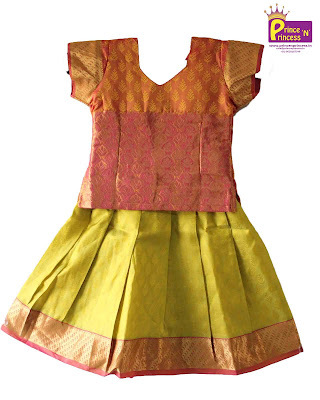 Pattu Pavadai made of pure Silk or Kancheepuram silks are grand and they are special for the little pricess. 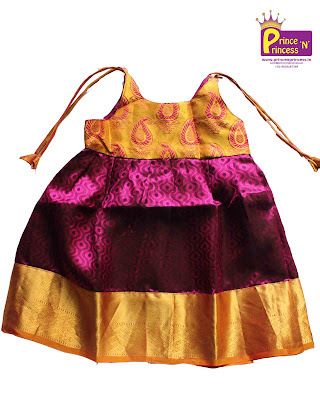 Check our website www.princenprincess.in for huge variety of Pattu pavadai and langa.